If you’re anything like me, then you’ve suffered from this syndrome too. It’s called the ‘ I-don’t-care-how-you-do-it-but-I-want-you-ready-in-under-ten-minutes’ syndrome. For as long as I can remember, I have had this issue about time and punctuality. Annoying and to the minute, is how I was described by friends and family. You couldn’t promise to meet me at 6:00 p.m and then show up five minutes late. It would really drive me nuts. As a teacher, I felt this the worst. I used to see red when students of mine would saunter in ten or fifteen minutes late and cite traffic and laziness as reasons for delay. Cut to a few years after marriage and picture me, the parent. The early stages of Gy’s childhood were no problem. I couldn’t care less about time and schedules, except when we had to leave for the doctor’s clinic. Once she started school and other classes, that time-demon in me crept back in. Each day, I would watch the clock anxiously, foot tapping impatiently while she stirred her milk slowly with a spoon. I would snap irritably as she lounged over a meal, cutting it close to the minute when it came to leave for an event. Once I realised that the trigger was not helping in any way and even impeding her speed, I tried to do things differently. I befriend Time. If I know that she needs 9 hours of solid sleep to feel refreshed, I ensure she goes to bed by 9 pm the previous night. I plan for contingencies. It’s likely that there will be a last-minute rush on some days, so I prepare some things the night before- Water bottle at the ready, school bag packed and set, clothes laid out. I delegate. Of late, Gy takes to the idea of doing things on her own, so I encouraged her by giving her small chores she could do such as checking her bag, counting the uniform items she needs for the day after, washing her own plate/ cup and so on. I set a timer. For some tasks, I make a game out of speed. I set a timer and ask her to finish the task within the timed setting. As of now, she is thrilled to wind it up and receive a smiley face and a star drawn on her arm. I wake up earlier than she does. Waking up early makes sure that I am in a good mood and ready to cajole her without frustration when it’s time for her to wake. A good half- hour prior, I finish mundane tasks and sip on my morning cuppa so that I am ready to go! In spite of all this, if Time works against us, I brush it off and tell myself that it isn’t the end of the world. It’s just the end of that hour. And it works, for the most part. For the other days, well, there’s always tomorrow. Ever since, it’s been a series of management tips for various scenarios. I owe a lot of my gratitude toThe Orange Rhino, who was the original inspiration for my journey. Personally I am not that finicky about time, a few minutes here and there are okay. But yes if I have something scheduled like an appointment, I always try my best to make it at the decided time. Wow @shyvish I do really need to follow these. I am trying to emulate your yelling less initiative. I am getting little better. I can absolutely empathize with you. I go through the same ordeal each morning. I'm a bit like you too in terms of adhering to time…at least I try. And I hate it when people try to take your time for granted. 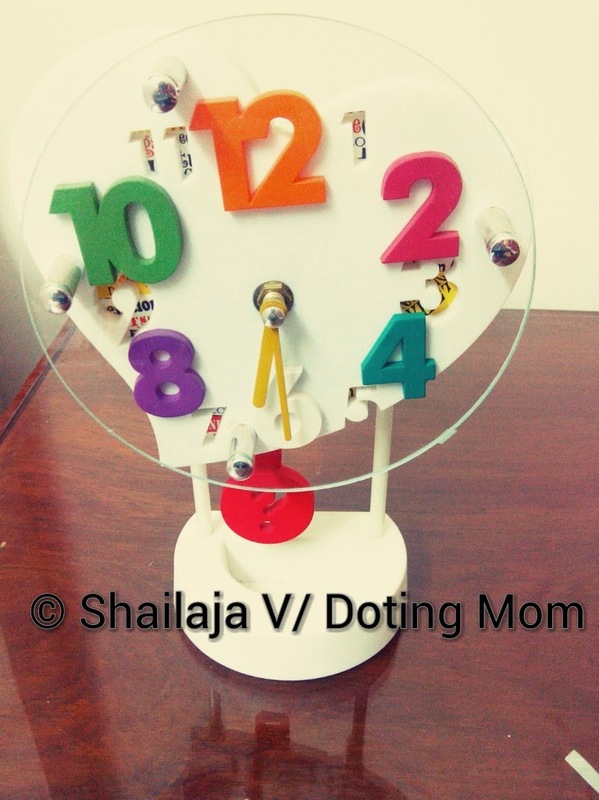 I'm trying to inculcate the habit of punctuality in my son too. Its always best to start training kids early I guess. Oh, I have a huge thing about Time, Beloo 😀 It's both my nemesis and my best friend, depending on the scenario. oh boy I am so baddddddddd at time keeping but funny enough its only when i have to come to office.. I have done everything to make sure i reach at 8:59 .. instead of 9:05 but no matter what .. I always reach at 9:05.. and i have no excuse for that .. every day its the same ..
Rest of the times I am always on TIME.. and i hate it when others are late.. I wait for 5 to 10 miniutes and then walk away .. all my friends here know that .. so they get on time because they know I will go away ..
Good tips, Shailaja! And those pointy toed boots work wonders on fellow bloggers, too. Hehehe! You can never live that one down. I used to be a real time demon when I worked full time. I was cranky and rushed, always looking ahead and reacting to whatever I had to do next, not enjoying anything. Now I'm much calmer but I can let time get away on me if I let it. I still need to plan my time better with goals to accomplish and a deadline to complete that goal. Still working on it. Some days are better than others! Even doting moms lose their temper when pressed for time. Thanks for the great advice on how to yell less. Precisely written, i am more like you, wish to stick on to the schedule. I too plan ahead, wake up early and my husband shares the job of making my son ready to school and that really helps! and the 'brushing away part' has come in handy for me, only after yielding kids!! Great to hear that, Inderpreet! It's better now, of course, but I would have lost my mind if I hadn't come up with a solution soon! Oh definitely, Vinodini! I just hope that my obsession with time does not harm Gy in any way. With both the boys my time is always crunched, my day starts at 5 and I start waking them by 6 so that they are fed, bathed, dressed and off to catch the bus at least 5 minutes early. The whole timing was killing and 4 days a row I got angry looks from parents whose kids were already in the bus 🙁 Punctuality is something I am very particular about, blame it on the army upbringing.